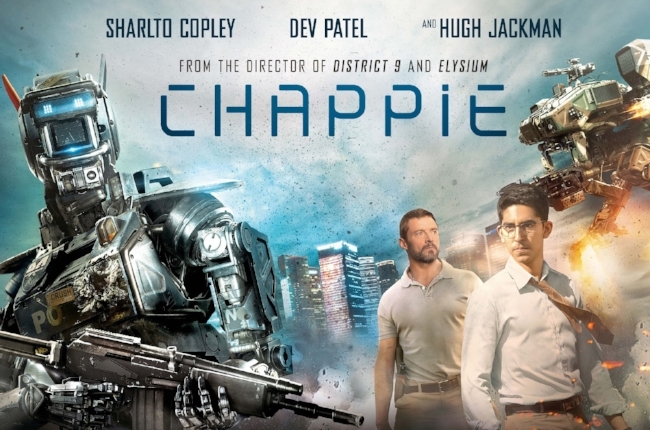 There is much to praise about Chappie, which in turn makes me reticent to catalogue its subsequent failings. Once again Blomkamp uses a near-future Johannesburg to effectively paint a convincing picture of urban decay and social division. He manages to seamlessly integrate CGI with the physical and the overall design of all the paramilitary hardware on display is very credible. Image Engine once again created some solid visual effects and actor Sharlto Copley provides not only the voice for the titular Chappie but also a motion captured performance. The screenplay by Neil Blomkamp and Teri Tatchell makes a laudable attempt to explore the subject of Cartesian Dualism.